Watch how pro athletes use Sony’s Action Cam to Prove it. Tune-In on October 20th at 10am PST for an exclusive streaming event. 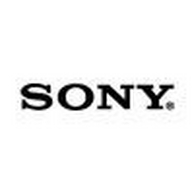 Team Action Cam Athlete and 15x Motocross Supercross Champion Ricky Carmichael will join a panel of Sony experts to discuss the Sony’s Action Cam. Find out what they like about each product, how they use it and what sets Action Cam apart from the other POV cameras on the market. Ask questions on Twitter with #ActionCam. Amazon will have great deals on Action Cam and accessories all day, including the AS30V as the deal of the day at over 5% off**.